No more tests The Comprehensive Nuclear-Test-Ban Treaty aims to end nuclear tests like this one conducted in the 1950s. Detecting and verifying potential tests is a key part of the treaty. Machine learning software is helping to get the job done. Machine learning software designed by a Brown computer scientist is helping the Comprehensive Nuclear-Test-Ban Treaty Organization monitor the globe for evidence of nuclear tests. PROVIDENCE, R.I. [Brown University] — When North Korea conducted its recent nuclear weapon test, the blast had been detected by a global seismic sensing network operated by the Preparatory Commission for the Comprehensive Nuclear-Test-Ban Treaty Organization (CTBTO). The network, called the International Monitoring System, aims to “make sure that no nuclear explosion goes undetected.” Software designed in part by a Brown University computer scientist is helping to do just that. The most recent North Korean test wasn’t terribly difficult to detect. It was a fairly large blast, it occurred in a place where a test wasn’t surprising, and the North Korean government made no effort to hide it. But clandestine tests of smaller devices, perhaps by terrorist organizations or other nonstate actors, are a different story. It’s those difficult-to-detect events that VISA — a machine learning system that Brown’s Erik Sudderth helped to design — aims to find. The Vertically Integrated Seismic Analysis (VISA) project began in 2007, when the CTBTO was looking for an upgrade for its software system. The older software was making lots of mistakes, Sudderth said. It was wasting analysts’ time with false positives. But most critically, it was missing lots of smaller events and making errors in triangulating the exact position of events. “It was the job of the analysts to clean up the results of the automated system to some acceptable level of accuracy,” Sudderth said. For him and his colleagues, the raw automated data, combined with data that had been cleaned up by experts, was a goldmine. Out of that came a system that models the multiple layers of uncertainty that occur in the processes of generating seismic events and in detecting them. Seismic waves travel in different ways through different types of rock. That introduces uncertainty because there is no high-resolution map of rock types across the entire surface of the Earth. On the detection side, each sensor works a little differently, and all of them are subject to many types of random noise — from wave activity in marine sensors to vehicle traffic on land. Combining these statistical analyses leads to a comprehensive generative model of the rates at which seismic events of various sizes occur in various locations and the ways that energy from these events propagates to seismic sensors. Sudderth and his team devised an efficient inference algorithm that can scan incoming data to find events that likely represent an actual seismic signal. VISA has been under testing at the CTBTO’s headquarters in Vienna for the last four years or so. It currently offers the analysts a kind of backstop for the organization’s original automated system. “As it is now, the analysts have kind of a VISA button [on their computers],” Sudderth said. “They can press the VISA button and it says, ‘Here’s a bunch of stuff we think you missed.’” The analysts can then decide whether or not those events should be included in the daily seismic bulletin. Sudderth and his colleagues have shown that VISA can reduce the number of missed events by 60 percent compared to the original system. It can also provide more accurate location information in many cases. For example, VISA did a better job than the older system in pinpointing the location of a prior North Korean nuclear test in 2013, Sudderth said. 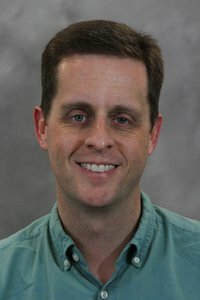 He and his colleagues at the University of California recently published a paper on their work in the Bulletin of the Seismological Society of America. The International Society for Bayesian Analysis awarded this paper the Mitchell Prize, which recognizes an outstanding paper that uses Bayesian analysis to solve an important applied problem. Sudderth was able to confirm that VISA did detect the recent North Korean test, but that blast was large enough that most traditional systems would have caught it as well. Sudderth hopes VISA’s ability to detect more events might eventually aid in gaining full ratification of the Comprehensive Nuclear-Test-Ban Treaty. To be enforced by international law, the world’s 44 nuclear nations must ratify the treaty. Eight of those nations, including the United States, have yet to do so. President Clinton signed the treaty in 1996, but Congress refused to ratify it.